Like them or loathe them, banks and bankers have been around for quite a long time, the likelihood being that they'll be here in perpetuity and continue to influence our lives for better or worse. The ongoing financial debacle within the banking world has severely shaken the general populace to the extent that the trust they used to enjoy isn't quite as evident as it once was. But it wasn't always so. Banks were where you stashed your money, ill-gotten gains and valuables so you hoped, usually correctly, that all your worldly cash, in addition to a few shiny trinkets, would be reasonably safe from prying fingers. Financial institutions, though, have only been around for a few hundred years, so what did the wealthy nobles and aristocrats do to protect their wealth prior to the banks? 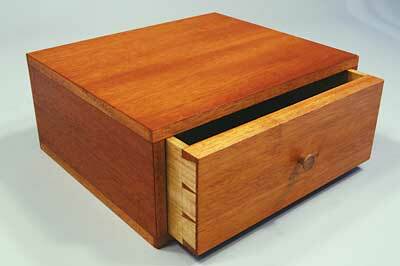 One solution common in medieval times was to store all valuables in very heavy, solid oak (Quercus spp.) coffers, sometimes secured with a huge iron lock. The sheer weight of these things meant that it would have been a very determined villain who would contemplate a bit of thievery, let alone being hacked at by the lord of the manor's broadsword. 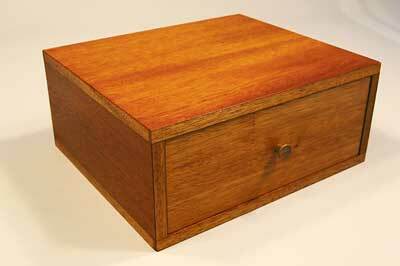 Another alternative, which gained popularity as furniture became more sophisticated in later centuries, was to simply hide smaller, more valuable items within a chest or cabinet of some description. Furniture makers of the 18th-century developed all manner of ingenious, complicated mechanisms to conceal secret or hidden compartments, much to the delight of their inquisitive patrons. In the intervening decades, little seems to have been recorded so that it's now quite difficult to find definitive texts about how these secret compartments were constructed, though a Google search makes it far easier. The modern cabinetmaker is faced with the same sorts of problems as his counterpart a few centuries ago in that anything of this nature has to be developed from 'first principles', even though the requirement for such deviousness has long since fallen out of fashion. In F&C 200, John Bullar's article discussed some simple ways to introduce a little intrigue to drawers and other related mechanisms. Reading John's piece enabled the cogs of 'grey matter' to turn slightly faster and the creative juices to flow. 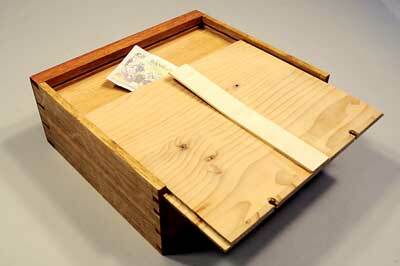 I decided to take one of John's ideas - the secret drawer - and develop it further to incorporate not just one hidden compartment, but two, together with a cunning way of locking the drawer to prevent casual fingers from gaining entry. 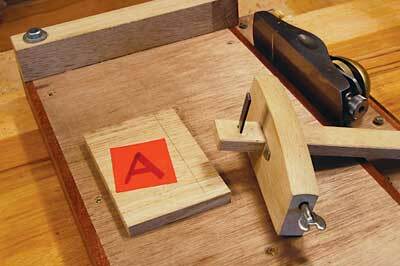 Developed in the 17th-century, the 'Quaker lock' is simplicity itself. 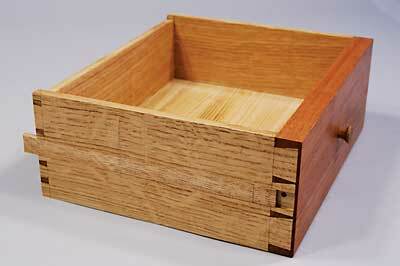 A thin, straight lath of flexible timber, usually oak, is set at a shallow angle at the rear of the drawer bottom so that the other end is slightly below the level of the front. As the drawer is pushed into its opening, the lath flexes upwards against the underside and as it passes the threshold of the rail it snaps straight again with a very satisfying, soft little 'clunk', so locking the drawer in position. The only way to release it is to feel underneath with a finger and then to physically push the lath upwards, at the same time pulling the drawer out with the other hand. In this way, a whole series of drawers could be locked and only by opening them in the correct sequence could the top drawer be accessed. As one American wit dryly commented: 'You definitely do not want to put your 44 magnum in the top drawer to fend off an intruder'. I decided to simplify the idea by using an ash laminate of several veneers, glued to form a very 'V' shape, which is then cut to length and stuck onto the underside of the drawer. 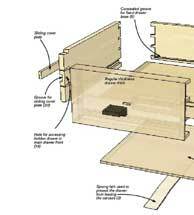 This means that there's no need to cut a sloped recess in the rear of the drawer base, as would be the case if a straight lath were to be used instead. The carcass produces a few more options. 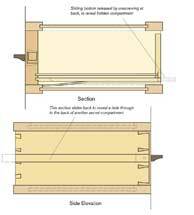 If a solid construction is used, then a tapered, shallow slot needs to be made to accommodate the downward flex of the lath as it 'clicks' into position and locks the drawer. 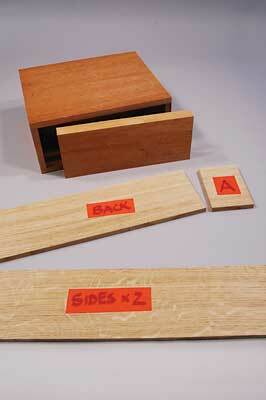 In this example, a veneered ply box has been made so a rectangular maple (Acer campestre) block was inserted and rather than make a large, ungainly hole for a finger, a small 4mm hole has been drilled so that the insertion of a steel pin is enough to flex the laminate. 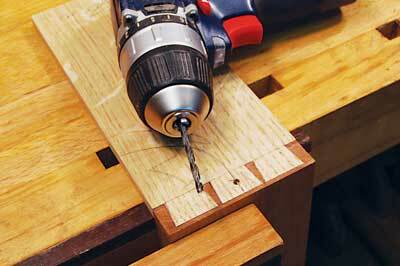 Should the construction be made with a dust board, then the procedure is even simpler as all that's required is to drill the small hole just behind the drawer rail. 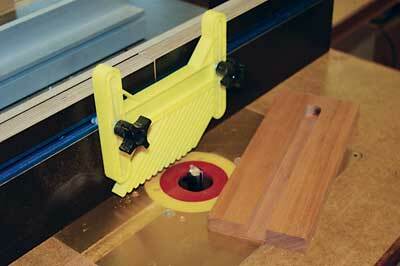 The secret sliding base is relatively easy and straightforward to build. It consists of a second, additional base that is trapped in a stopped groove on all four sides, with the actual base located normally underneath. 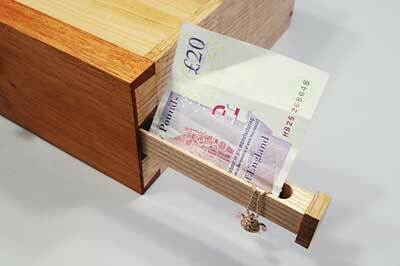 The small gap between them is sufficient to secrete away confidential documents or even cash. 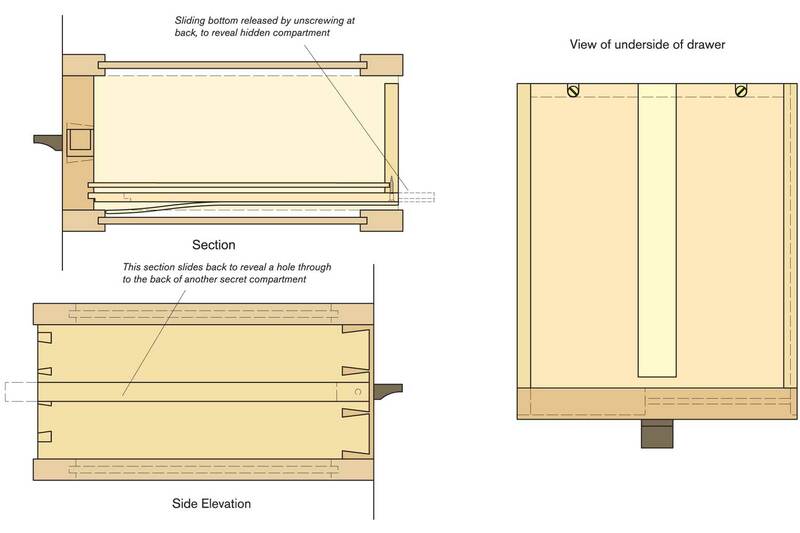 Unless the user is particularly observant, the slight difference in the internal and external depth dimensions of the drawer will go completely unnoticed. The standard drawer base is made in whichever way suits the maker, be it with a small groove in the sides or by using drawer slips. The cunning part is to machine the stopped grooves on the router table so that they finish within the joint itself; just past the shoulder line, with the normal grooves a short distance - in this case, 5mm - below them. 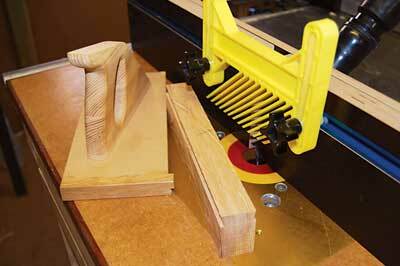 When the drawer is dry assembled both sets of grooves can clearly be seen. I use cedar of Lebanon (Cedrus libani) for drawer bases so that with careful matching of timber, it becomes quite difficult to spot that they are entirely different pieces of wood. The base in the stopped groove is made by slicing up thin sections of timber, joining them together and vacuum pressing over 3mm MDF in the AirPress, followed by careful planing and sanding to ensure a snug fit. Particular care ought to be taken to ensure that the overall dimensions of the trapped base don't exceed the slot sizes, as it could be slightly embarrassing when the whole thing is glued together! This secret compartment is far more complicated to make, so much so that the first time I made one, I made a full size, though small, maquette just so that I could work out the detailed procedure to make it work. 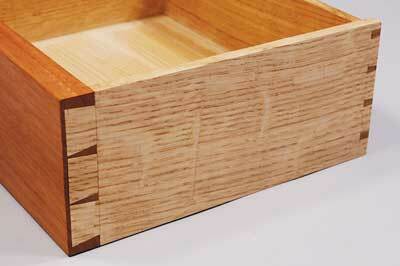 It consists of a hidden drawer within a lapped dovetail so that the secret compartment runs almost the entire length of the drawer front, but to build it, some liberties need to be taken with the overall dimensions of the jointing. 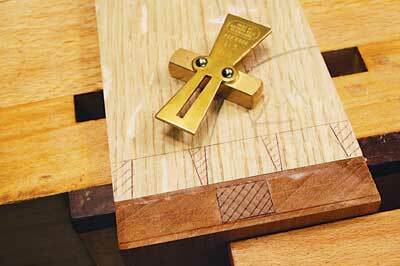 The generally accepted thickness for the front of a drawer is about 18mm and if the 'Rule of Thirds' is followed, it means that the depth of the lapped dovetails ought to be around 12mm. 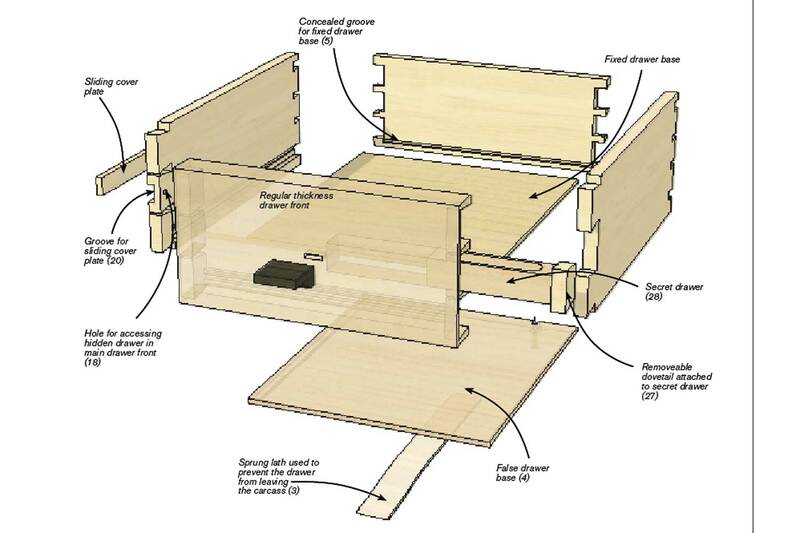 As the secret compartment needs to be hidden within the dovetail, 12mm isn't really deep enough, which means that the dovetail needs more depth with a consequent increase in the thickness of the drawer front. 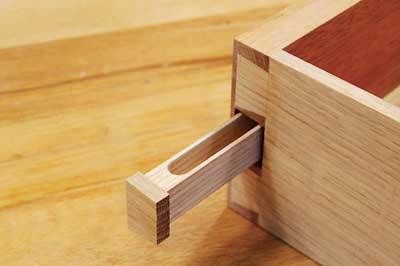 I made the dovetail itself 18mm with the drawer front finished at 20mm, leaving a scant 2mm clear, which doesn't leave a lot of margin for error! 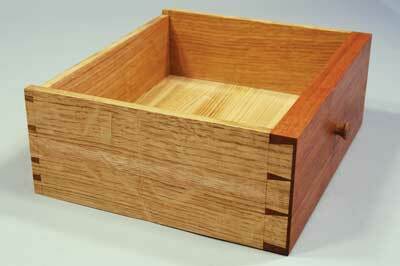 The components for the drawer are prepared in the normal way. I started by machining the sides 12mm thick, but it's important at this stage to remove a section, labelled 'A' from one end which will be used later. 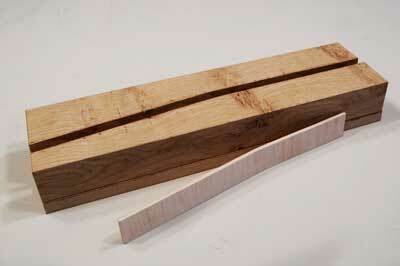 The sides and back are then brought down to the required thickness, usually around 8 or 9mm. 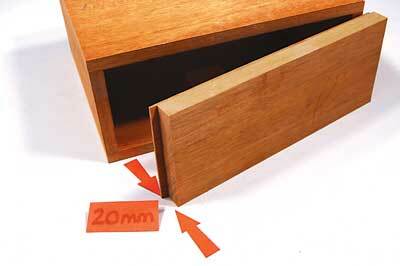 The drawer front itself is initially prepared to 25mm thick and cut 6mm larger than the size of the opening. 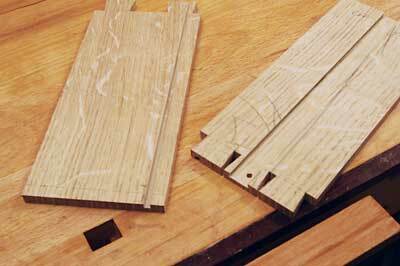 A 2mm slice is then cut off the rear and the thicker part planed to 18mm, so now the combined thickness is the required 20mm. 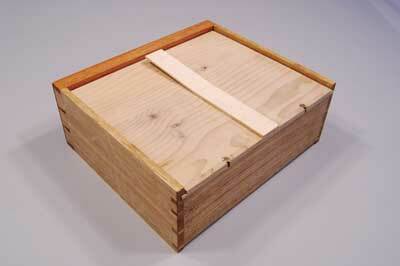 The front is then shot into the opening so that it fits tightly halfway all round. The next part is to machine a suitably sized stopped slot down the middle of the 18mm section, leaving 2mm clear underneath the cutter. 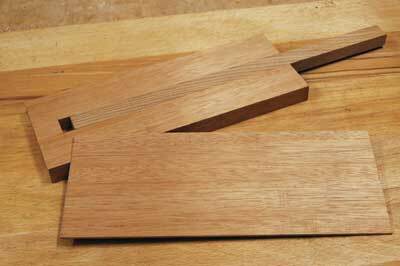 As the width of the drawer front measured 95mm, this translates conveniently into three dovetails of around 25mm width each so a 19mm wide groove fitted comfortably between the limits of the centre dovetail. 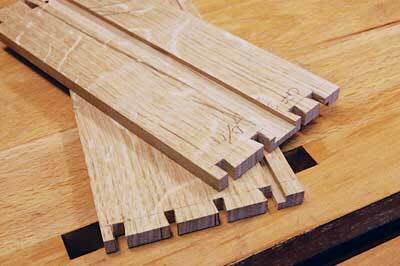 The round end of the slot is then made square and an oddment of material found which is planed down to exactly fit the groove, but which must be left at least 150mm longer than the drawer. 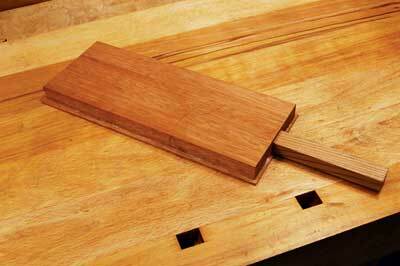 The insert and the stropped groove are then very heavily waxed and the slightly oversize 2mm veneer stuck on top to form the 'cricket bat' shape, with apologies to those readers in distant climes who don't understand cricket. Insufficient waxing at this stage will mean that it's impossible to separate the two pieces when the glue has set, so please don't be mean with it! Once the glue has set, the 150mm that extends from the side is then gripped very firmly in a metalwork vice and the drawer front tapped with a large maul to separate the two. The insert is then re-waxed so that it becomes a relatively easy sliding fit, after which it's left in place and the excess 150mm is cut off. The front is then finally fitted into the opening - complete with its dummy insert - by carefully planing off the veneer excess. 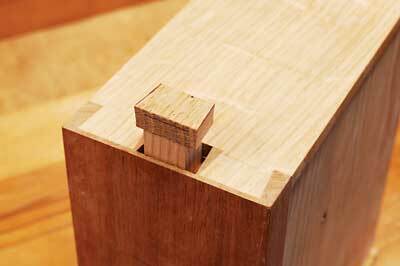 The front lapped dovetails - but not the rear through ones - are then marked out in the normal way, with the centre tail directly covering the insert. At the same time, one end of section 'A' is shot in squarely and the 18mm shoulder line is marked. Once the front tails have been cut, the sockets are marked out, the waste removed and the joint fitted in the normal way, one dovetail having the insert underneath it. 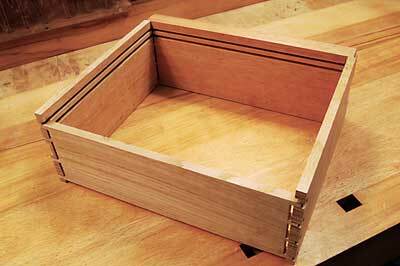 Turn now to the other set of dovetails at the opposite side of the drawer and drill a small hole directly through the centre tail until it removes waste material from the insert. With the front joints cut and fitted, the next stage is to remove it, easily done if a plastic plug is used and a big 'eye' hook with a robust thread is used. Simply thread a tommy bar through the ring and pull. 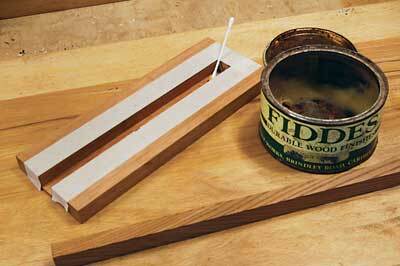 If the insert has enough wax, it ought to withdraw from its socket with a satisfying 'ploop' as it comes out! Making sure that the correct end is chosen, saw off the centre tail and put it somewhere safe as this will form the template for its replacement - cut from section 'A' - later. 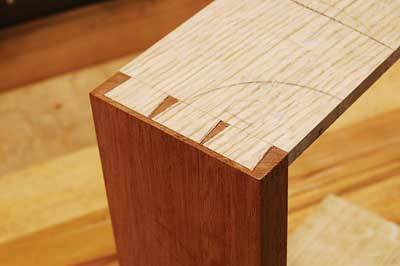 Using the side with the small hole, a dovetailed groove is machined down the full length so that the keyway machined later on will cover the hole. 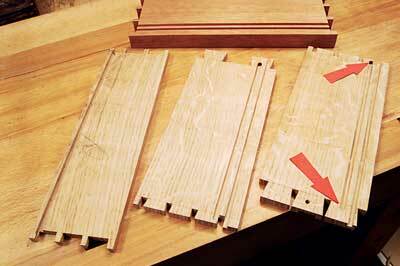 Once the dovetailed groove has been machined, the rear through dovetails can be marked out and cut. 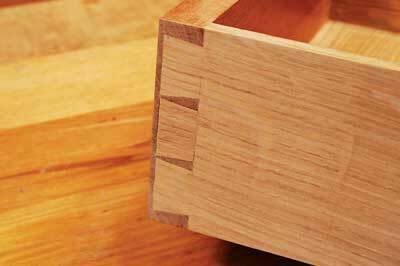 It will soon become apparent that in order for the end of the dovetailed insert to become almost invisible, the joints will be asymmetrical each side. 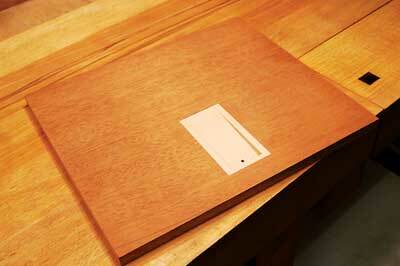 Those on one side will be normally spaced whilst the tails on the other side will need to have one that's narrower. 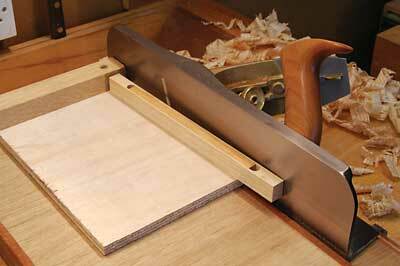 Using a wider piece of quartersawn material and the same cutter, a slightly wider section is machined so that with a few careful shavings removed from the underside, the keyway can be made to fit quite tightly. It's then separated from the larger parent block. The application of a little candle wax to the mating surfaces will mean that it ought to be able to slide by just using finger pressure alone...if it's too tight when it's finally fitted it will never come out! Using the original insert as a pattern, a second one can be made slightly oversize and a 10mm slot machined down the centre. This is then filled with an oddment to support the by now very thin sides and the shooting board is used to plane it for an exact fit - at this stage the sides will be 2mm thick! The new drawer is then cut exactly to length and inserted into the socket, where a couple of veneer pins are tapped into the end. But how do you now remove it? 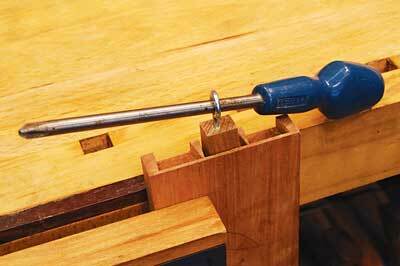 Remember that hole you drilled into the other side of the drawer? 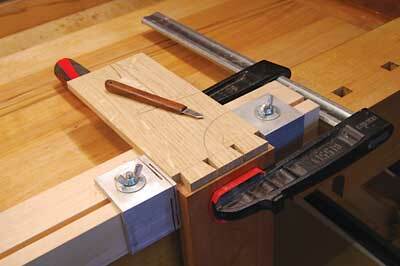 Push an appropriate sized pin into the hole and the drawer will slide out! Then cut off the pins to leave about 2mm proud and re-insert into the hole. 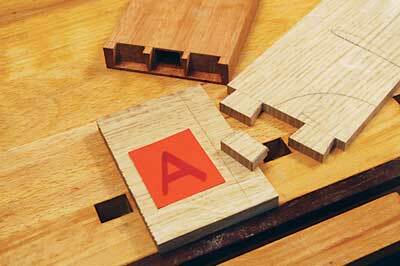 Returning to section 'A', the tail that was cut off is used as a template to make another, after selecting the most appropriate piece of grain. 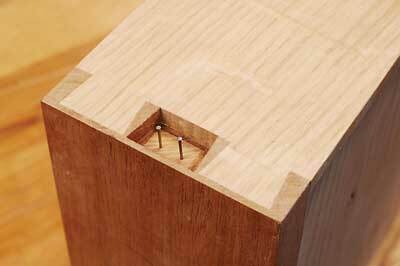 Pare this with a very sharp chisel to make a close, snug fit into the socket so that it will eventually impale itself on the two remaining veneer pin spikes forming a matched pair of dowel centres, remembering that when it's drilled, section 'A' is 12mm thick and the drawer sides are considerably thinner. 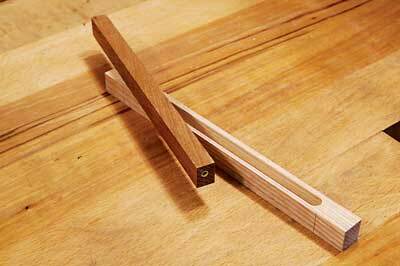 I found the best thing to use for dowels is a couple of short segments of 3mm bamboo barbecue skewers. With the final tail glued in the complete hidden drawer can now be pushed home fully and the excess tail material planed away to leave the side dead flush, and the different tail hopefully invisible. With a little wax on the tail sides, a gentle push with the pin at the other end ought to see the hidden compartment slide smoothly open. Having finished the work on both sides, the drawer can be carefully fitted in the usual way so that to the casual observer, it looks completely normal and slides out in quite an ordinary fashion. Even removing it entirely from the carcass will show no apparent abnormalities though there might be a slightly quizzical glance at the odd looking dovetails at the rear on one side - that's if they're ever actually noticed. It's only by chance that a determined push with a finger will slide the dovetailed keyway to reveal the hole underneath and a further push using a suitable implement will reveal the secret compartment with its baubles stashed within! These sorts of secret mechanisms and compartments have long fascinated me but it seems inconceivable that they could be incorporated into pieces produced in a commercial workshop without the express instructions from a client - they just take up far too much time and a huge amount of thought to work out how to make them. They certainly couldn't be added to something as an 'after thought' as they need to be planned very carefully in advance and built into the piece as it's made. 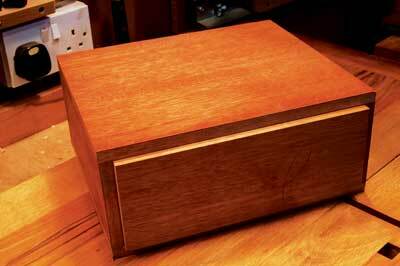 However, they are great fun to make so that the amateur or hobbyist woodworker, who is under no such constraints, is free to pursue all the myriad possibilities that only his imagination - and skill - could possibly limit. It would be an amusing situation though, for a furniture maker to shake hands with a perplexed client on the doorstep, after having delivered a beautiful desk and leave him with a nonchalant, throw away comment as he gets into the van and prepares to drive off: "Oh, by the way, there's a couple of secret compartments in that piece...bye," waving his hand as he departs.